I’ve been doing web development professionally for over 6 years now, but only three of those years were with a team of other developers/designers. Because I was so used to developing solo, working by myself on one project at a time, my flow didn’t matter so long as it worked for me. When I started really getting serious about development and started reaching out to other developers I found that I was very much behind in the world of workflow. Way back when, when I didn’t really know any better, I used to develop late at night on live websites so that if I broke something, I wouldn’t potentially lose a website viewer. I know now how ridiculous that is, but it’s what I did. The truth is that things like SVN and git scared the living daylights out of me because the community around it seemed so closed off. It felt like a special club that I wasn’t invited to be a part of. Every time I tried to ask a developer friend to give me a quick overview the person would start off with something that sounded so complex that I just zoned out. I couldn’t wrap my head around the “basics” so why bother trying to dig in deep? Developing locally and then pushing live served me well for a while since I was literally coding in my own personal bubble. Merging code and making sure no one else overwrote my work or I didn’t overwrite someone else’s didn’t affect me at all, so I just kept plugging along. It was working, and I was happy. Then came a collaborative project that absolutely required the use of GIT. I suppose it was time for me to stop being a baby and grow up in the development world. Even revisiting it after all of that time and all of those new experiences still gave me the chills. I had no idea where I was going and only armed myself with google and github. It wasn’t until I found the #git IRC chatroom when I really was able to find my way. I had some nice people give me the “absolute total dummies” version of what git is and then it started to make sense to me. I took the leap and created a github account and installed it on my computer. 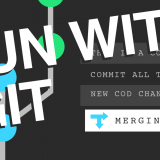 I still was completely clueless as to what I was doing, but thankfully my project collaborators walked me through the basics of git and so long as I was not in charge of merging the pull requests, I was completely happy. Then, I was in charge of merging the pull requests. It was my own project and it only made sense for me to manage it. Yikes. I felt the same fear all over again, as though I had never touched git before. 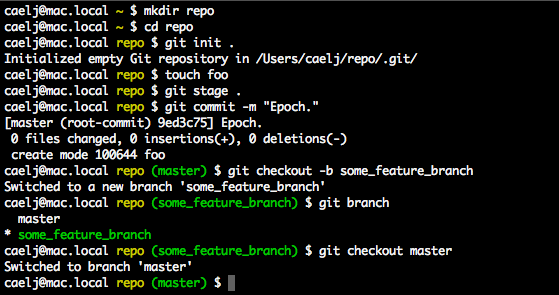 I feared overwriting everyone’s work and kept checking and double checking to see if the git commands I ran “worked”. I wasted a lot of time checking and double checking but in the end it all worked out. Now that I have local development, an online development server for sharing public in-progress projects with contributors and clients, and git I feel like I am finally playing in the big kid’s league. Not only do I have this sense of satisfaction as having tackled something that scared me, but I have also seriously organized my development life. 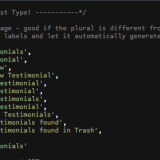 Now I don’t have to yell across my studio to ask “Are you working on that style.css file right now? Or can I open it to make some changes?” to one of the developers here. In hindsight, that was probably the stupidest thing ever in the history of ever. But.. I guess.. this is Web Design For Idiots after all, so whatever. If you’re at that point and have that same pit in the middle of your stomach about learning git , check out these resources that helped me out. Feel free to ask questions here as well. I will do my best to help you out and steer you in the right direction. I know it’s a hard concept to wrap your head around when you’re just starting out. No question is too stupid!